Posted by admin in activity reports, eruptions, Japan. Mount Asama in Japan fulfilled the JMA forecast by erupting on a relatively small scale today, producing a steam-and-ash plume to altitudes of around 2 km and throwing rocks as far as 1km from the vent. Light ashfall took place over parts of Tokyo and reached as far as Yokohama. The Tokyo VAAC had reports (based on estimates) of ash up to altitudes of 10000 to 15000 ft (3-4.5 km), dispersing to the south-east. The BBC has a video showing aerial views of the summit which must have been taken soon after the eruption. Meanwhile Sakura-jima on Kyushu in the south of Japan has also erupted several times over the last few hours, producing ashfall mainly into the sea. Sakura-jima is highly active, with frequent explosions producing ash plumes, and residents of the nearby city of Kagoshima took the latest activity in their stride: ‘we did not note anything out of the ordinary affecting daily activity’, said a local official. Webcam views of Asama can be found here and here (thanks to Boris Behncke and Stefan Keuttel for this information). The image at the top is Asama erupting, 02:00, 2 February 2009 (thanks to Stefan Keuttel; original here). UPDATE: The Japan Meteorological Agency is pleased that this eruption of Mount Asama has proved to be a success for its new volcano alert system, introduced in December 2007, reports The Japan Times. Posted by admin in activity reports, Asama, Japan, volcano monitoring. The Japan Meteorological Agency has raised the alert level for Mount Asama, the most active of Honshu’s many volcanoes, after detecting increased seismic activity. 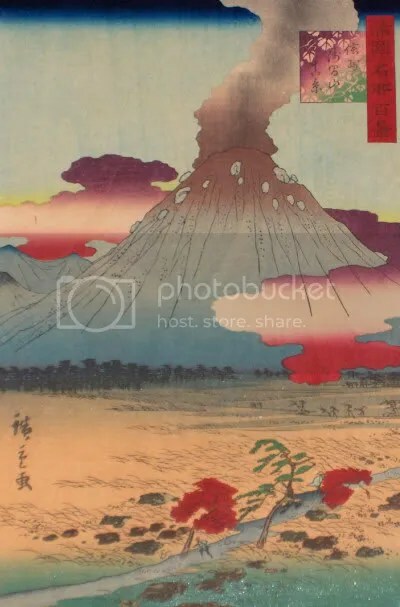 Press reports quote JMA official Sadayuki Kitagawa as warning that ‘Mount Asama could erupt within two days, spewing rocks and ash’, and that ‘there are prospects for an eruption that could thrown volcanic rocks to a distance of around 4 kilometres’. Up to 45,000 people could be affected by the current alert, and local officials are warning people to be ready for evacuation. Asama has erupted frequently in recent years, most recently in September 2004, but without fatalities or widespread destructive effects. The volcano’s last destructive eruption was in May-August 1783, a VEI4 event which devastated 500 square kilometres and left around 1200 people dead.